Who’s the right, right back? I’m no football scout, so I can’t give a professional opinion on players, let alone on one I’ve never clapped eyes upon before. The closest I ever got to that was when I used to play Championship Manager twenty years ago! Having read reports that Brendan Rodgers has taken Moses Odubajo on trial, some minor debate has generated amongst the Celtic support. The player is 24 years old and been out of the game for nearly two years. He suffered a serious knee injury whilst at Hull City in July 2016. Since then he’s been on the road to recovery with no real first team game time. The Yorkshire club saw fit to splash out £3.5M on the right back in the summer of 2015 and was a key player in the club’s promotion to the Premier League. Due to that injury he never got the chance to prove himself in the top flight. For Celtic fans the concern would of course be “has he recovered from that injury” and “is he any good?” On a free transfer there is little risk, but Celtic have also been here before. Right back is an unsettled area for Brendan. Not because he doesn’t have anyone for the role, but more that who is going to be there for the next few years? Mikael Lustig is the current default choice, vice-captain, but also out of contract in 2019. In his time at Celtic time nobody has displaced him from that position. The Swedish international, currently on duty with his national side at the World Cup, is into the last sixteen in Russia and playing very well. At 31 years old, age may not be on his side, but he loves the club, the fans, has dealt with injuries better of late and is still a key part of the Celtic squad. Cristain Gamboa, who just recently exited the World Cup with Costa Rica, was one of Brendan’s first acquisitions, but he has never made an impact in the first team. Before him, Saidy Janko’s services were procured from Manchester United, much to the distaste of some United fans, but even he failed to stake a claim. The Swiss player did have his injury woes and found himself out on loan. Since his permanent departure, he has played for St Etienne and just recently signed for FC Porto. Another right back Brendan dispensed with was Darnell Fisher. He was a product of Celtic’s youth academy and was able backup when called upon. Brendan ran the rule over him as he did Janko, but his services were not valued either. After a successful loan spell at St Johnstone he moved to Rotherham United and now plies his trade for Preston North End in the Championship. The question will now be asked if Anthony Ralston has a chance or if he’ll go the same way. Having signed a new deal recently I’d like to think he was in Brendan’s plans. Personally, I don’t think Brendan’s purchase of Gamboa has been any better than what he has disposed of. In fact it’s been worse so that’s something he has to take responsibility for. Whatever Brendan has in mind here he needs to think about the future. Should Odubajo get a deal it means there would be four right backs on the books with no clear front runner moving forward. I can see why Rodgers is interested though. Odubajo had shown great promise up until that injury. He made great progress with Leyton Orient and Brentford as well as representing England at under 20 level. It could be a gamble, but if his trial and subsequent medical went well, I see no reason not to take a punt. It does still pose the question of who our long-term right back is though. Lustig, Ralston, Gamboa or possibly even Odubajo? With Celtic’s first pre-season friendly getting under way today, Brendan Rodgers welcomes some players back into fold. There are also some fresh faces to look forward to as well. Marvin Compper will be reintroduced after one competitive appearance since his January move from RB Leipzig. Also returning is loan boy Ryan Christie, having performed impressively in the last 18 months at Aberdeen. Then there is new boy Lewis Morgan who like Compper signed in January. He spent the remainder of last season at his old club St Mirren to help their promotion bid which proved to be successful. Also featuring today are young hopefuls Stephen Welsh and Kerr McInroy. They’ve been thrown into the mix for the first time alongside the more familiar faces of Scott Bain, Calvin Miller, Jozo Simunovic, Scott Brown, Scott Sinclair and Leigh Griffiths. These games are all about fitness and preparation. The result isn’t important. The Hoops are only two weeks away from playing Alashkert FC in their first Champions League qualifier. Preparations are now in full swing. When Stuart Armstrong extended his contract last year, I wasn’t of the same opinion as some others. That Celtic had secured another year just to prevent losing him for free this summer. Having completed probably the best season of his career I felt that perhaps the deal that was struck kept both party’s options open, allowing them to revisit talks after hopefully another good season. That should have allowed Armstrong to get back on track and deliver the goods once more, but it didn’t. Aside from below average form, he missed 15 games last season through injury. He still managed 41 appearances, but without the same impact of the previous season under Brendan Rodgers. And that’s why now even though he is set to leave, I’m not too disappointed anymore. Armstrong has jumped ship early from a club that would have continued to serve him well. What I am disappointed about is that he doesn’t appear to have valued Celtic as much as we valued him. It’s clear he has his own goals which in a way I can understand, but you can’t help but feel a little bit betrayed. Whether it is money or just an ambition to play in England, he won’t be looking back and neither will we. Celtic have players who have demonstrated application, dedication and a willingness to work for this team. Stuart Armstrong could’ve been a big player at Celtic, possibly even a captain. But his ambition has led him beyond Celtic and he joins a list of others who followed the money south too quickly. What will be interesting to see is how that ambition unravels. I’m seldom bitter about players moving on to prosper elsewhere so long as they’ve given it their all at the club who helped get them there in the first place. You always know when a squad member has either reached the pinnacle or become too hot a talent that it is difficult to stand in their way. And that’s just the issue, I don’t think Armstrong has achieved either of those milestones at Celtic. This is a self motivated, premature transfer. At 26 years old, the midfielder could’ve had one or two more years and still got a move south as a more complete player and possibly even to a bigger club. Because that isn’t the case, he might find himself failing to get a move from Southampton to a better Premier League club as others have. Unless he hits the ground running in that initial move south he could find himself stagnating in Hampshire. Guys like Victor Wanyama and Virgil van Dijk have all proven their worth at Southampton, having fulfilled good periods of consistency at Celtic, then got bigger moves within England. Stuart Armstrong isn’t even in that category, yet I get the impression he thinks that he is. All I can say is that I hope it works out for him and his career turns out as he desired. I don’t wish him any misfortune, I just think he’s jumped the gun here. One good season doesn’t make you a star. You have to reproduce that quality over and over and he hasn’t. I don’t think he was holding the club to ransome. His ambition is simply leading him away. The good thing for Celtic is that they will be making a tidy profit from this. Furthermore, they are not losing a player that is irreplaceable or leaving a huge gap in the squad. There are players queuing up for a midfield spot in Brendan Rodgers’ revolution. And that’s before considering potential transfer possibilities. I mean, do Celtic even need to go out and buy John McGinn as has been suggested? We have plenty in the ranks already who deserve a shot. Ryan Christie could be that man. Young, energetic and dynamic. He’s amongst a batch of midfield talent we’ve seen very little of in a Hoops jersey. With Armstrong moving on I’d say his chances just got better. Might that even mean Scott Allan is back in contention? Personally, I feel that ship has sailed, but my viewpoint has now been altered by Armstrong’s pending exit. Nir Bitton, whilst not the same type of midfielder, has yet to return to the middle of the park having seen more action at centre half last season. Eboue Kouassi and Kundai Benyu are two players trying to break past the regulars. And when you consider that those regulars consist of Callum McGregor, Olivier Ntcham, Tom Rogic and Scott Brown we are not devoid of options. Celtic are not weakened by the departure of Armstrong in the slightest but there is an exciting opportunity for someone. Whatever may happen, I don’t think Celtic need to delve into the transfer market. That player may already be here already unless further movement changes that situation. This Champions League draw and all the recent fan comments and feedback got me thinking. Why are we still allowing European football to cater for the elite? Yes, it is a coin we all chase and desire. Is this really progressive for the entire game though? Not if it isn’t fully inclusive. What we are potentially looking at is exactly the sort of thing UEFA tried to block years back – a breakaway. You’ll recall the Atlantic League proposal of nearly twenty years ago? An idea to prevent large European clubs in financially weaker leagues from losing out on big revenue. Well that got binned off by UEFA in the same breath in which it was being considered. The governing body allegedly recognised what was being said and decided to revamp the existing European club competitions instead. How has that worked out for all of UEFA’s member associations? Well, all I’m seeing is the evolution of a European Super League, a breakaway if you wish. 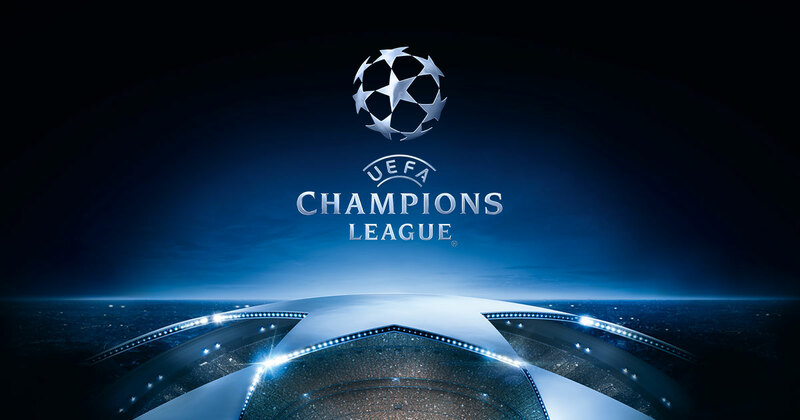 The Champions League has a fraudulent name. Better to have stuck to calling it the European Cup because it certainly isn’t about champions as it once was. In Scotland it has become more and more difficult to qualify. The only hole in our argument is that we as a nation have fallen behind every one else. Not just in club football. In international football as well. Topically, like many of you, I’m watching the World Cup. I’ve grown used to not seeing Scotland feature in these tournaments. I’m watching countries like Australia, Tunisia, Iceland, Iran and Egypt and thinking. Would Scotland be any better than them? I doubt it. We appear to be behind them. The only time I hear of Scotland doing reasonably well is usually at youth level. So something is fundamentally flawed in the Scottish system. We’re clearly doing something wrong with our sport. Things have to be shaken up. Our clubs in general are well below the required standard to compete in Europe. I know Celtic as a business are doing all they can for the club, but even then there’s a glass ceiling. I’d love to tackle UEFA on the Champions League matter, but I think we need to tackle our own establishment first and win. We know exactly where the problems lie and SFA do Scottish football no favours. Our TV revenue is abysmal, our stadia is poor in general and we do little to bring people through the turnstiles. Overall it is a poor product that is hard to sell without using Celtic and the former Rangers 1872 as a marketing tool. You would have to admit to some degree that Rangers 2012 have brought the spotlight upon the Scottish game once more. However, our game is still ailing badly and whether the Ibrox club are willing to admit it or not, they are living off the ‘glory days’ of the liquidated club. Meantime, Celtic are on a personal journey, but where does it lead beyond Scotland? If we’re lucky enough to get there, we struggle at the group phases of the Champions League where the disparity is extremely obvious. Yes, we have lost ground in recent years through management changes, having built up some momentum during the Martin O’Neill and Gordon Strachan years. Now Brendan Rodgers has been tasked with keeping Celtic’s face in the Europe’s premier competition. We’ve made the last two group phases of the competition thankfully and to one extent or another made progress from one season to the second no matter how ugly. What about this season coming then? Well, an additional qualifying round hasn’t helped matters. The obstacles have increased for those at the bottom end of the food chain whilst the rich clubs get rewarded with an easier or direct path. This elitism in European football is making the conpetition less and less appealing. Is this what UEFA want in order to suit their own agenda? It does make you wonder where European football is going. Whether you can blame your own club, your football association or UEFA it’s clear Celtic are still off the pace though. Everything is a bonus and when we do manage some kind of achievement in Europe. No matter how great or small. I often think of Martin O’Neill’s famous words that in certain company we were “punching above our weight.” He couldn’t have been more correct and today it couldn’t be more apparent especially with the greater gap between Celtic and the top clubs. Brendan Rodgers is of course on his own mission. He is making his own history, just as his Celtic predecessors have. 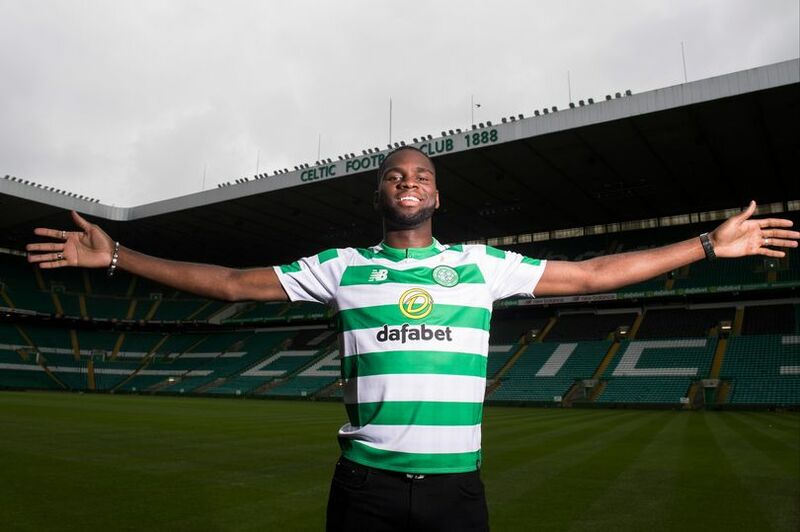 The recent acquisition of Odsonne Edouard on a permanent deal was a sign of trust between the financial men at the club and the Northern Irishman. To date, he has not splashed anything serious other than the services of Olivier Ntcham last summer. Every other player has either been on loan or brought in for a smaller amount going by today’s market. And that’s understandable because as I have been banging on about for the last two years on this blog, Brendan inherited a rather large squad. Edouard is his first real signing of intent. That we are taking Europe seriously and have to up the stakes in order to make progress. We know we aren’t going into the Champions League to win it. It is essential to be part of it though and stay in the fight. The marketing is so important. The income is so important. Over the next couple of years it is likely we’re going to see the Celtic squad operate as a more compact unit consisting of key players supported by home bred talent. We retain the services of key players on better contracts as evidenced by guys like Tom Rogic and Kieran Tierney. The wage structure at Celtic is such that we won’t go breaking the bank. We cannot compete with the finances of England, Spain, Italy and the like. What we can offset against big money is an opportunity to play at a popular and historical club. Trophies and medals, European football, fans that idolise you and a chance for you to further your career with us for many years or a chance to build your career at Celtic and continue elsewhere. We’ve helped many a player on to better things whilst benefiting from their services and subsequent transfer fee. That’s where we are at and it works well for us. I’m more than happy with the club’s greenprint for the future. It serves us well. We need players of a certain calibre no matter how few. These are the guys that influence games, the rest of your squad and your results. In order for Celtic to move forward they must continue to buy and sell for profit. They must also harvest youth consistently. Until circumstances change in Scotland we’re on our own. Until the UEFA run a fairer competition we’ll have to keep chapping at the door. Celtic have been drawn against FC Alashkert of Armenia in the First Qualifying Round of the Champions League. Should they successfully navigate that tie, they will face either Valur Reykjavík or Rosenborg. So, nothing easy in front of Celtic. Brendan Rodgers and the Hoops have their work cut out for them. Even then, there are two rounds beyond that before we get where we want. A lot of preparation is going to have to go into our pre-season preparation including long distance travel. The Hoops reassembled yesterday for their first day of pre-season training minus their World Cup contingent of Cristian Gamboa, Mikael Lustig, Dedryck Boyata and Tom Rogic. It doesn’t seem like much of a break, but nevertheless the hard work begins now. None of these are easy trips for Celtic. Aside from the travelling and relative unknown quantity, a couple of these clubs are also in the midst of their football season. Take Flora Tallinn for instance. Their season began in March and are already eighteen games into the current domestic campaign. Similarly, the Latvian Virsliga started in March. So Spartaks Jurmala are now eleven matches into their new season. In terms of preparations they’re ahead of everyone else. At least on a match fitness level. As for the rest of potential opponents, well they’re pretty much in line with the majority of Europe as far as their seasons go. What we all have in common though is that none of our national sides are playing at the World Cup. I’m also going to hazard a guess and say that none of these potential opponents have any players featuring in the World Cup. Whilst other clubs in this First Round of qualifying will have players featuring in Russia just like Celtic. Rogic, Gamboa, Lustig and now Boyata have all now featured in the opening games for their countries and wish them all the best with the rest of the tournament – hopefully injury free! We have plenty of options without our international players on duty though just as long as they are back for the tougher stages of the Champions League qualification. Rumours continue to grow about departure from the club this summer. None of which have been confirmed, but there will be departures we can be sure of that. For now, all eyes are on today’s draw in Nyon. The most likely rumour ever to have become reality at Celtic in recent years is that of Odsonne Edouard. Today, that reality was confirmed. After a successful season long loan in Glasgow, the 20-year-old Frenchman has signed a 4 year deal with the Hoops. The tried and tested striker persuaded Celtic to break their 18-year-old transfer fee record of £6M previously held by Chris Sutton’s move from Chelsea in 2000. I guess that means Odsonne was only 2 years-old when Sutty signed for us. Christ I feel old! John Hartson arrived the following season for the same fee. Since then Celtic have not breached that amount, mainly because of the state of the Scottish game. Edouard will now continue to battle with Leigh Griffiths and fellow Frenchman Moussa Dembele for a striking role next season. This is great news for Celtic and their attacking options. The transfer wasn’t about breaking the bank. It was about good business with very little risk if at all. Celtic have spent millions of pounds on strikers over the years that never ever worked out be it on loan or on permanent terms. On this occasion the club have invested wisely on a proven talent who will only get better with age. The details of the deal with PSG is unclear at this time, but the club did say it is the biggest deal they’ve ever done. When you consider that Celtic sell so many players for big money, I think they’ll feel this deal can be justified especially if Celtic were to lose Moussa Dembele in the next twelve months. Transfermarkt have stated the fee to be worth £10.26M. I would imagine for a club as prudent as Celtic, that won’t all be at once. With this move sealed, Brendan Rodgers can now turn his attention to the overall shape of the team. Pre-season training begins on Monday and his main focus will be preparing those not at the World Cup for the forthcoming challenges. Celtic have a four friendly matches lined up before they embark upon Champions League Qualification on July 10th/11th. SK Vorwarts Steyr (27th June), Bohemians Prague (30th June), Sparta Prague (3rd July) and Shamrock Rovers (7th July) will provide the opposition. The futures of other squad members will be assessed over the summer, but for now Brendan will expect all but his World Cup attendees in on Monday. It doesn’t seem like much of a break, but in a short playing career that offers a better lifestyle than many of us are ever likely to experience, I won’t feel too sorry for them!